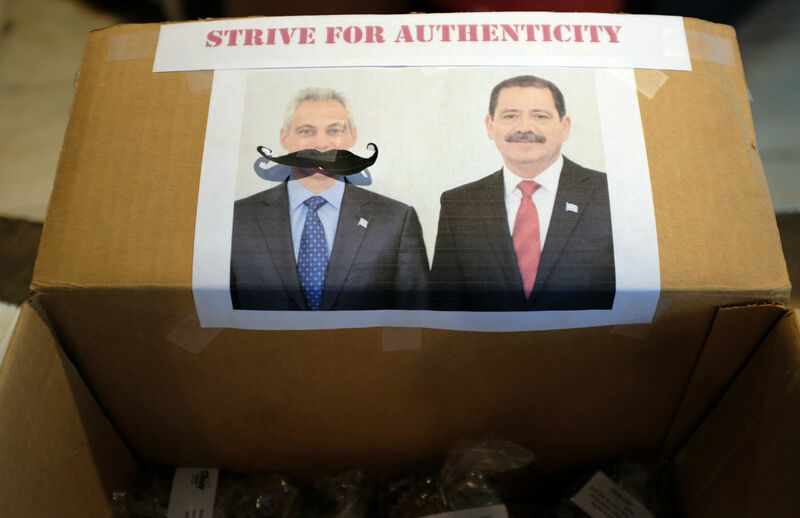 As Chuy Garcia gains momentum, another city seems possible. Chicago has scant recent history of upsetting electoral expectations—especially those of municipal strongmen with all the connections and cash that a corrupted campaign-finance system now lavishes on servants of the powerful. So it can fairly be said that a political miracle of sorts swept the Windy City on February 24, when Rahm Emanuel, known among constituents as “Mayor 1 Percent,” was forced into a runoff for re-election. That his challenger, Cook County Commissioner Jesus “Chuy” Garcia, is a committed progressive backed by a diverse grassroots coalition startled even veteran observers and rewrote the city’s civic calculus. “Now,” argues the Chicago Reader, “it’s time for the real mayoral debate.” This is not just a Chicago debate; it goes to the question of how Democratic mayors, governors and, yes, presidents should respond to income inequality, racial injustice and a democracy deficit that too often leaves cities in the grip of pay-to-play privatizers and austerity evangelists. Emanuel was supposedly set for easy re-election. He had the power of incumbency, the backing of the city’s major dailies, support from remnants of Chicago’s Democratic machine and an endorsement by his former boss, President Obama. He also had a twelve-to-one spending advantage, fueled by out-of-town interests hungry for a piece of a city so clearly up for grabs. But Emanuel fell short of the mark—and Garcia, who earned 34 percent of the vote to the mayor’s 45, is gaining in the polls as the April 7 runoff campaign ramps up. Emanuel’s assaults on public education, including the closing of fifty neighborhood schools, galvanized the opposition. Widespread support for a 2012 Chicago Teachers Union strike hinted at the mayor’s vulnerability. The union’s dynamic president, Karen Lewis, looked like his strongest challenger until she was sidelined last fall by illness. Lewis and progressives then turned to Garcia, who had a solidly pro-labor, pro-economic-and-social-justice record as legislator, alderman and commissioner, but little name recognition and less money. His strong showing confirms that a passion for public education now animates Chicago politics. So, too, does the fact that teachers and progressives have forced a number of Emanuel’s allies into City Council runoffs. But what’s happening in Chicago is about more than one issue. It’s about ensuring that America’s third-largest city meets the needs of working families and neglected neighborhoods. That is the dream deferred for almost thirty years, since the death of Mayor Harold Washington, the last insurgent to beat the machine and the money power. Washington was given little chance when he started his run in 1983, but a campaign that combined civil-rights energy and economic-justice themes prevailed, inspiring rainbow coalitions in cities across the country and Jesse Jackson’s challenge to the moribund national Democratic Party. Democrats who realize that today’s party must change to reach disenchanted voters will recognize the role that another Chicago miracle could play in heralding a new and necessary progressive populist moment.